The haste with which the decisions against Belarus' Senior Men's Canoe and Kayak National Team were taken is surprising, Belarus' Sport and Tourism Minister Alexander Shamko said. The Court of Arbitration for Sport (CAS) in Lausanne did not take into account any factual data provided by Belarus that proves the innocence of all members of Canoe and Kayak National Team. They also ignored an arrangement to prolong the registration of Belarus' application which would allow Belarusian athletes to compete in Rio. On 22 July, at the closed meeting, after the formal examination of the case CAS President Ms Corinne Schmidhauser decided to turn down Belarus' request to suspend the decision of the International Canoeing Federation (ICF). “The haste with which they decided on the future of our team is beyond understanding and common sense. First the International Canoeing Federation waited till the last minute to make the decision in order to deprive Belarus of any opportunity to apply for participation in the Olympics and thus to defend themselves. Then the Court of Arbitration did not take into account our proposals to speed up the review of our case or to suspend the ICF's decision and suddenly said that the ship had already sailed. This situation is quite incomprehensible for me, and I am sure that the whole sports community, sports enthusiasts feel the same. It is absurd,” Alexander Shamko said. In its letter the CAS says that if Belarus loses the dispute with the International Canoeing Federation in the future, this will damage those participants who will be removed from the Olympics as a result of the suspension of the ICF's decision. “But, excuse me, why do not they care that this decision offends and insults the Belarusian athletes who are clean and who trained very hard for Rio 2016? No claims were presented. There was no review of the case, and the guilt was not proven. Yet, our guys were punished. For what? We never got the answer,” Alexander Shamko said. 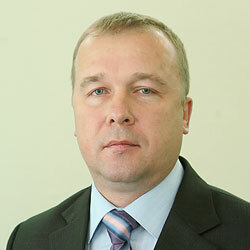 Alexander Shamko underlined that Belarus strictly pursues the state policy aimed against the use of prohibited substances and methods in sport. There is an interdepartmental coordinating anti-doping council. The legislation provides for the strict measures for preventing and fighting against doping in sport. The National Anti-Doping Agency actively works to prevent and detect violations. High qualifications of employees of NADA have been repeatedly commended by international experts who visited Belarus. “I am convinced that there is no place for doping in sport, but punishment should be individual rather than collective against teams and countries,” Belarus' minister emphasized.